We have been having a great time in our Makers Studio time learning about electricity. Several of my students have really learned about circuits by using the LittleBits to create their own machines. Kevin and Heaven made this automated Hand to wave to all of their friends. I’m amazed at how quickly they have figured the components out and been able to apply their learning to their different inventions. Their inventions are way more complicated than anything I would have assigned! 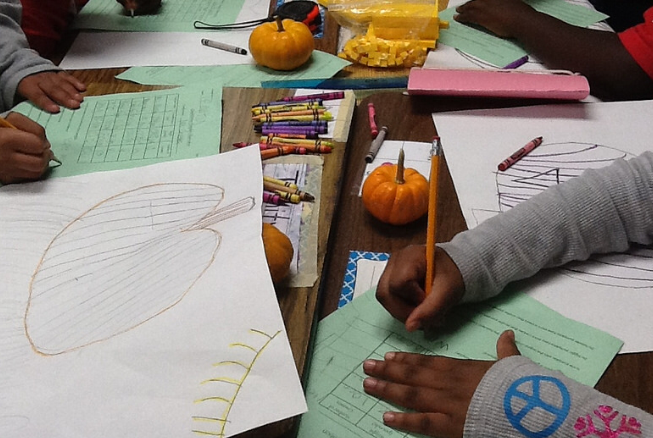 Creating family traditions for the students in my class is an exciting and important activity during the holidays. 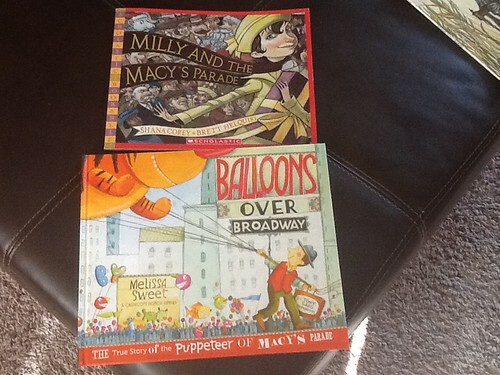 For the second year we have studied and learned about the history of the Macy’s Thanksgiving parade with the books “Balloons Over Broadway” by Melissa Sweet and “Milly and the Macy’s Parade” by Shana Corey and Brett Helquist. Through our class lessons and discussions I help students discover that traditions can be as simple as gathering together and watching the parade on TV. 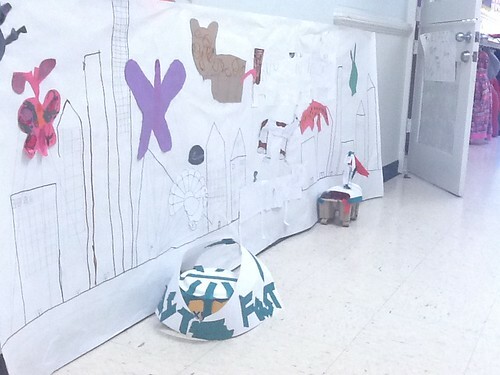 In keeping with our Maker classroom culture, students spent the morning designing and building a collage of the Macy’s Parade. Later, we enjoyed watching the 2013 parade together and playing parade bingo. As I watch the parade with my family this morning, I hope my students are enjoying it with their families as well. I really enjoyed hearing author Richard Hawley speak tonight about the importance of building positive relationships with our students, but most importantly our boys. He found that successful student/ teacher relationships were teacher initiated. Teachers who are willing to get to know and understand their students outside the classroom, be willing to share common interests, open up personally, and are willing to be active learners along side their students tended to have successful relationships. He pointed out that schools where administration made building relationships a priority, where faculty development was devoted to finding out what works and what doesn’t work with classroom climates, and when teachers were given time to meet and adapt to the needs of the students were the most successful at promoting relationships. I am thankful that I teach in a school where positive relationships with students and peers is a high priority and where support for parents, teachers, and students is not only encouraged, but a school wide goal. I am very excited to create name poems with Blue reading group this week! We will be using a new App Explain Everything. I love learning to create, make, and learn. The best way to start shaping student states is to build strong relationships… Instead of delivering long lectures,limit your talk time to short chunks:5-8 minutes for elementary classes and 8-12 minutes for secondary classes. These are two ideas that I want to make a a priority in my classroom this year. I continue to see the value in fostering a emotionally connected classroom. With students who have few, if any positive relationships they need to have an atmosphere of support in order to optimize learning. This not only is support from me, but support from their fellow students. I also see the need to shorten or “chunk” instructional time. By shortening instruction and specifically targeting skills to practice I hope that students will be more willing to stay engaged and not give up so easily. I also want to encourage independence by not making learning tasks too difficult, but challenging enough so that they feel a sense of accomplishment when they succeed. This school year the students in my class used KidBlog to document their learning in Science. I had wanted to begin the blogging process all year long, but ended up waiting until the end of the school year to start. I’m not sure what I was afraid of, probably the fear of not being able to manage the technology. 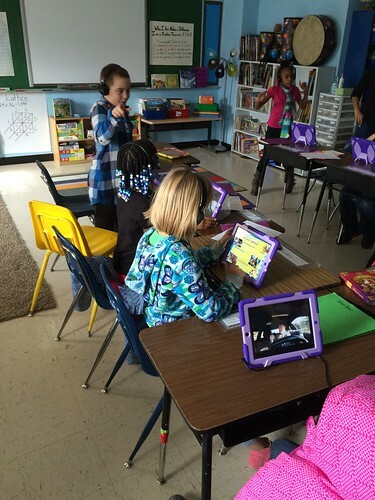 In April, thanks to a generous grant from a donor, our students each received their own iPads to use at school. Having the technology literally at our fingertips I really didn’t have any excuse not to give it a try. 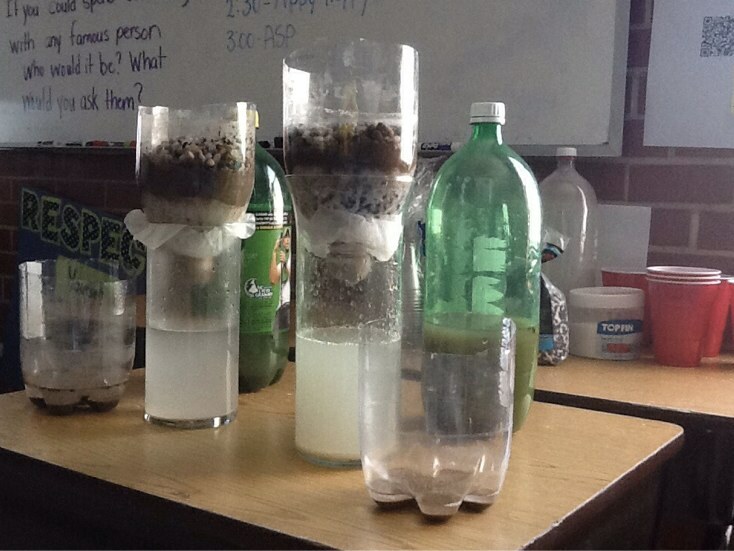 We began by blogging abut the Science experiments we were doing at the time. This was a perfect way to get the kids motivated to write. Not only were they really excited about our experiments, they were really excited about working on their iPads! I was amazed, by their excitement to write and to comment on each other’s blogs. Many students who struggled to write a sentence in their learning logs, were eager to write on their blogs. I loved reading what the kids wrote, and was able to tell who was “getting it” and who I needed to reteach. I was able to identify basic skills that I needed to cover and was wowed by the ease that some of them communicated. I’m so glad that I jumped in and started when I did I would have really missed out on an opportunity to get to see into the amazing, creative minds of my students.